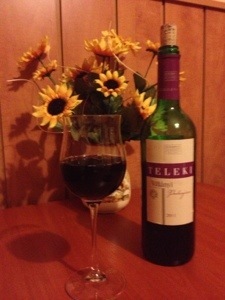 Teleki Villanyi Portugieser – my first wine in Budapest. I think for my taste the wine from Villany is the best in Hungary. Forget Tokaj. This is from Csanyi Pinceszet. Very nice velvety, easy to drink with a fine tannins. Apparently the best with Goulash. I just need Goulash now! Nice and warm here, people seem loving life and Budapest is busy! I can’t wait for my friend @chantaldriesen to arrive tomorrow!